Printing speed is great (up to 27 pages per minute). 250 Sheet capacity paper tray (pretty good ! ). Are you looking to buy a printer and don’t know which one to choose? Well, that’s a pretty common problem. There are hundreds of great printers out there. How can you choose the best one for your needs? 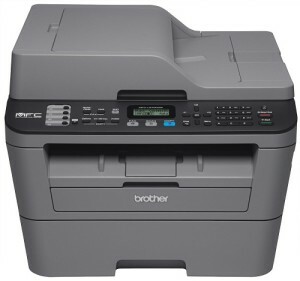 Well, today i will review the Brother MFCL2700DW printer. It’s very popular – and will be perfect for many. Let’s start with it’s printing quality – it’s really good – to say at least. This printer prints only in black and white – keep that in mind. It’s perfect for printing documents. If you want to print color pictures – then this printer is definitely not for you. Another important thing is the printing speed. If you print hundreds of pages every day – the speed does make a difference. 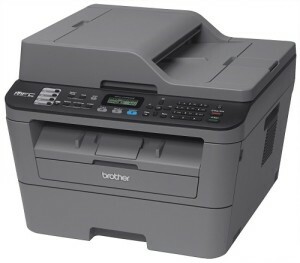 The Brother MFCL2700DW wireless printer can print up to 27 pages per minute. That’s pretty good . It’s also pretty cheap to print with this printer. The printer it self is not expensive at all, and the toner is pretty affordable as well. Many people choose to buy a very cheap printer, and then they are shocked by the price of the toner. That happens – and that’s not very good. That’s why I think the Brother MFCL2700DW printer is so good. It’s maintenance is cheap. Do you really need a wireless printer? I would say most people do. You can place this printer anywhere – just connect it to your WIFI network. A wired printer must be connected to your PC – and sometimes it’s a problem. This printer can be also used in wired mode- but again – I recommend just connecting it to your WIFI. It’s pretty easy and you will not have any problem doing that. 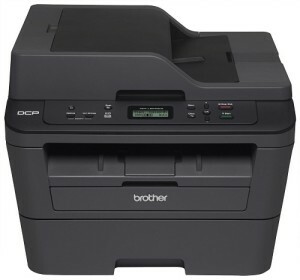 Overall, I think the Brother MFCL2700DW printer is great for office use as well as home use. It’s not expensive – and it works really well. If you have any questions – comment below.